We had our Ladies meet last Saturday with (thankfully) the dress code being 'Casuals'. Now I'm all for wearing whatever you feel like, but I personally do not feel comfortable wearing skirts/dresses and hopping onto those Gypsies in front of all the bhaiyyas. 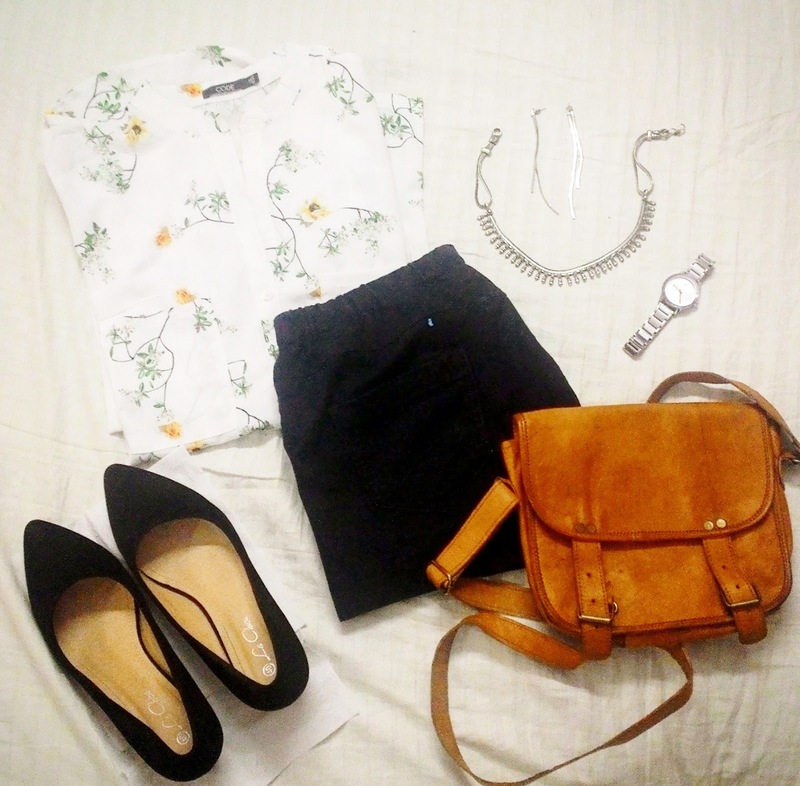 So I chose to go with my dark wash Denim and a floral blouse from Lifestyle which I tucked inside. I accessorized it with silver tribal necklace, danglers, silver metal watch, my new black pumps and a camel leather sling bag that I bought from my Jaipur trip. Minimal makeup and a red lipstick would have completed this look perfectly, but I was getting late and just couldn't find my lipstick, so I went au naturale. I'm sorry I do not have any pics from the event.